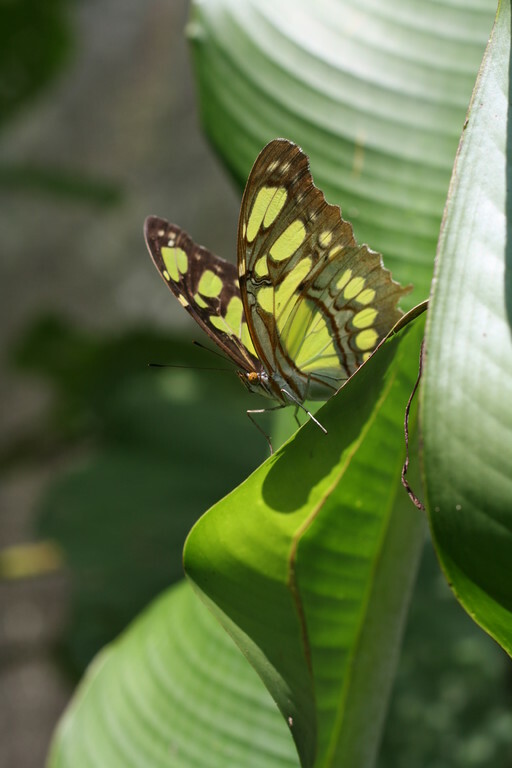 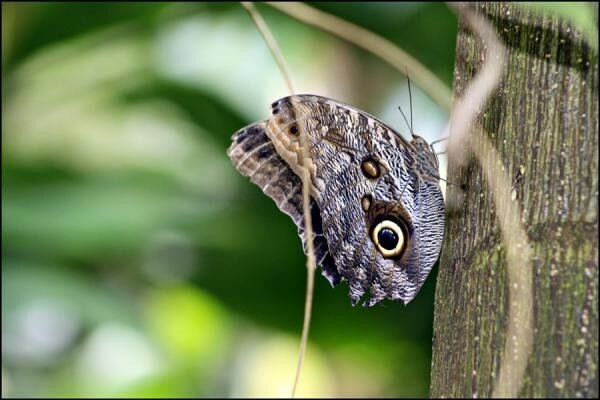 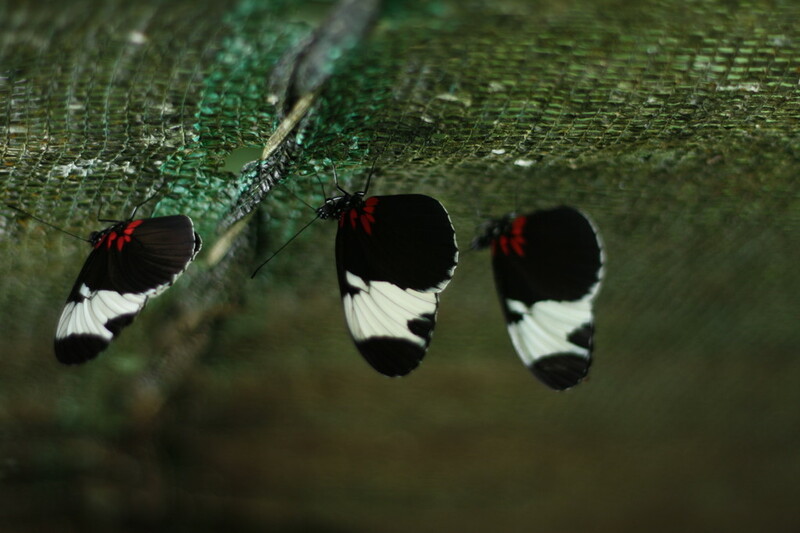 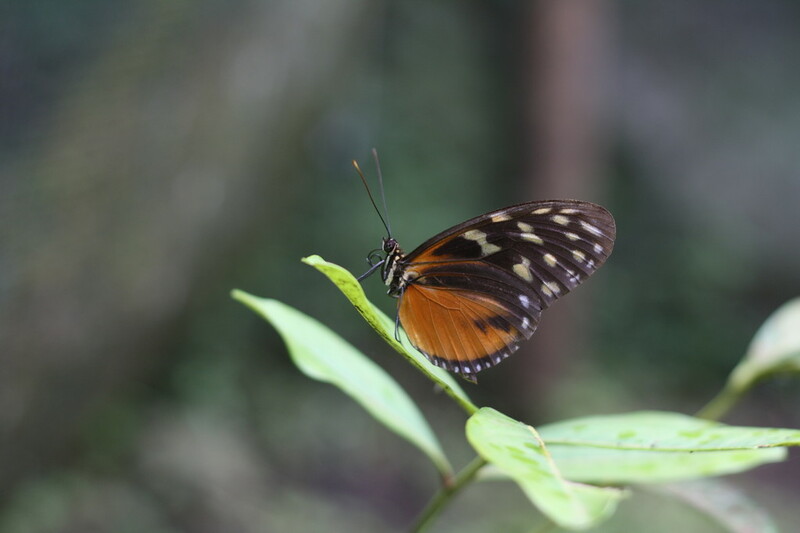 The butterfly garden consists of three netted areas that showcase the life cycle and free flight of tropical butterflies. 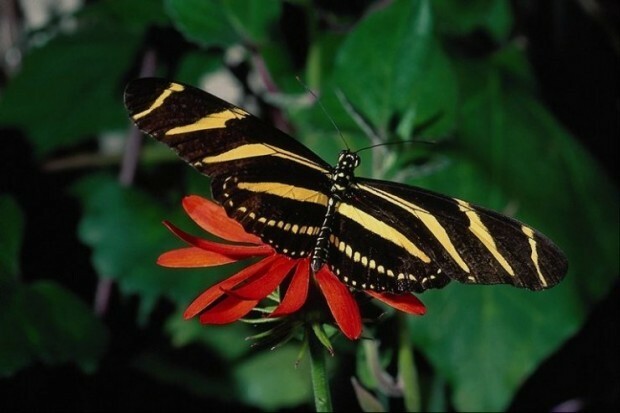 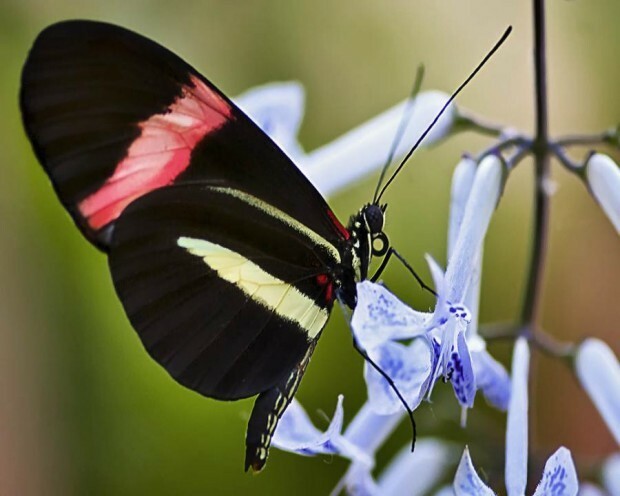 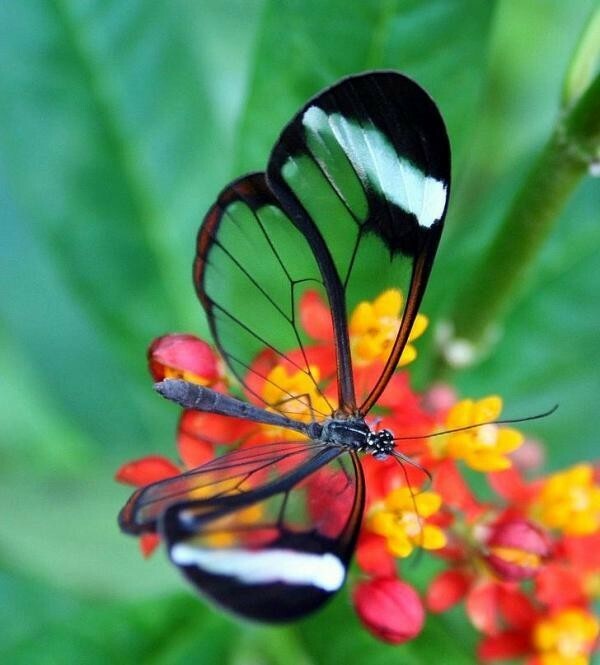 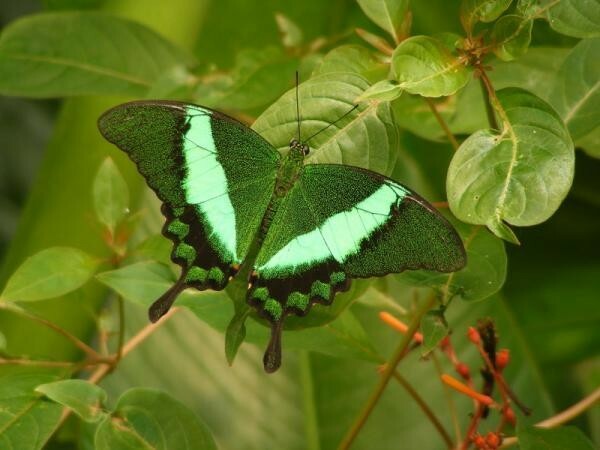 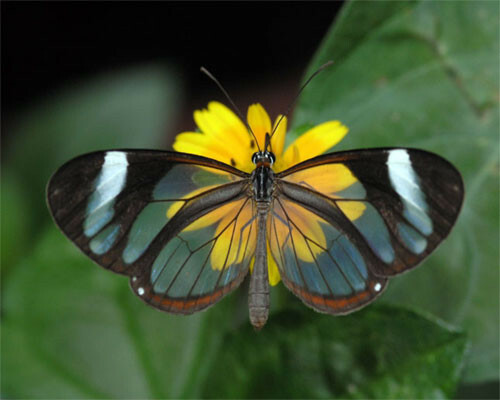 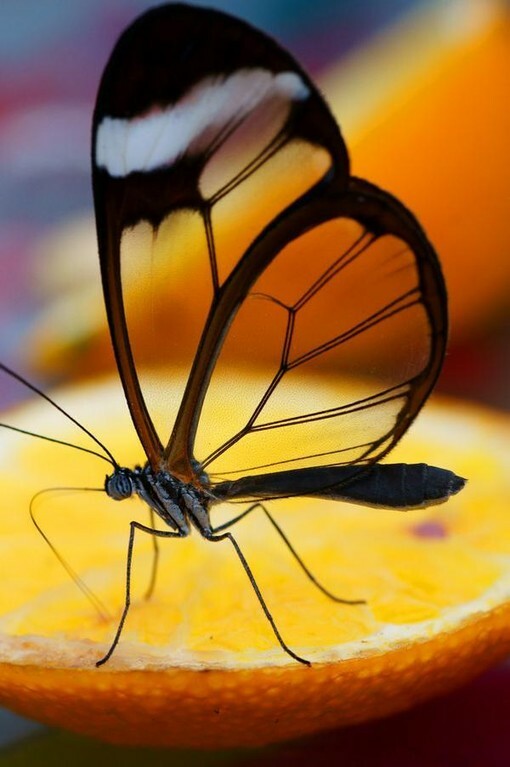 Enjoy up close the striking beauty and colour of exotic butterflies and tropical host plants. 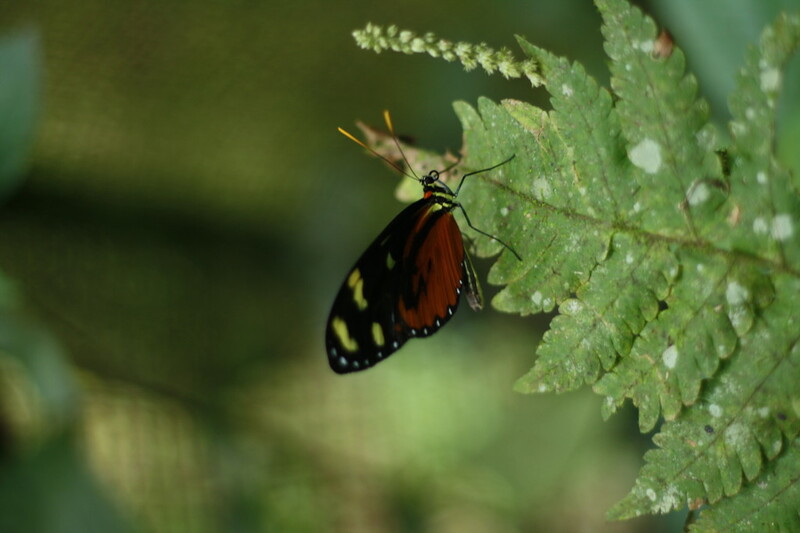 The butterfly eggs are collected from the leaves, stems, or other objects, and then taken to a laboratory on the property where they hatch. 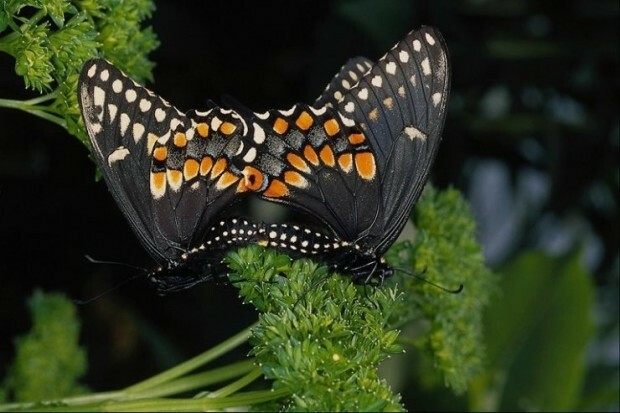 At this time the caterpillar or larvae is in its feeding and growth stage. 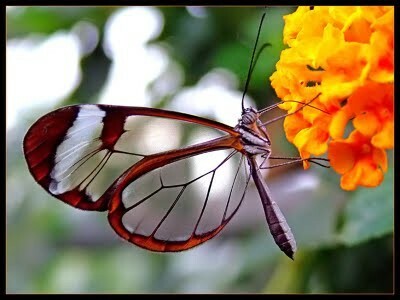 As it grows, it sheds its skin four or more times so as to enclose its rapidly growing body. 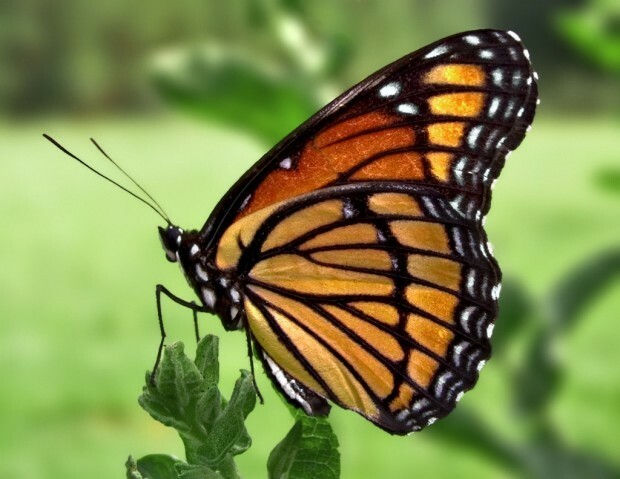 The chrysalis or pupa is the transformation stage within which the caterpillar's tissues are broken down and the adult insect's structures are formed. 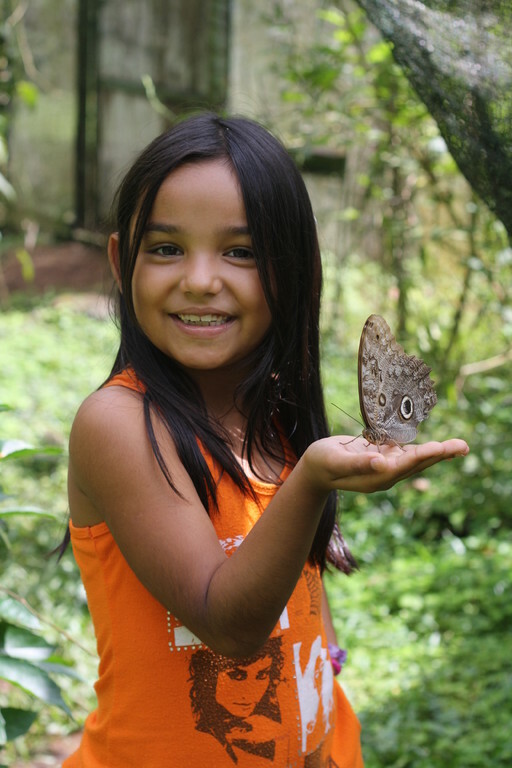 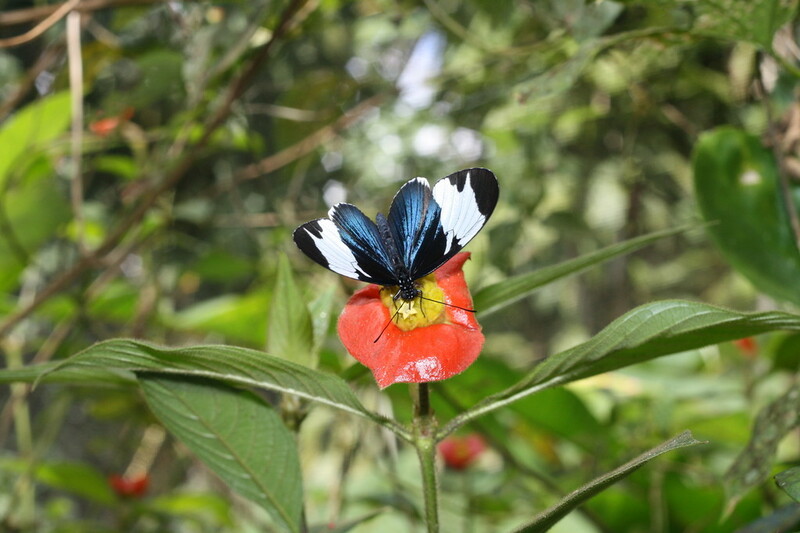 Come and experience the beauty of walking through hundreds of butterflies that flutter around you.